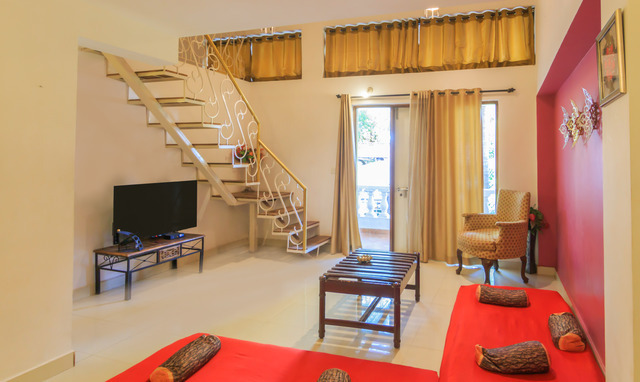 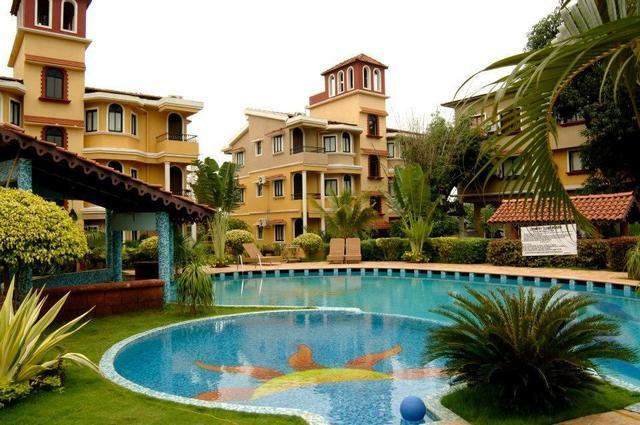 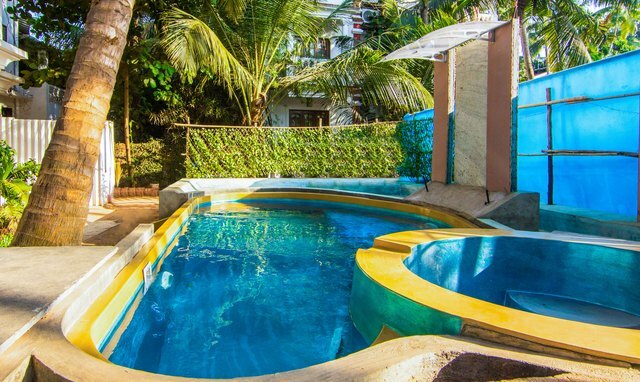 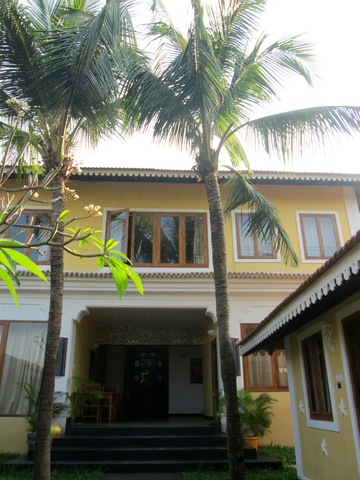 Surrounded by swaying palm trees, Treebo WTF My House is an excellent property in Baga thats perfect for those looking for a getaway in Goa. 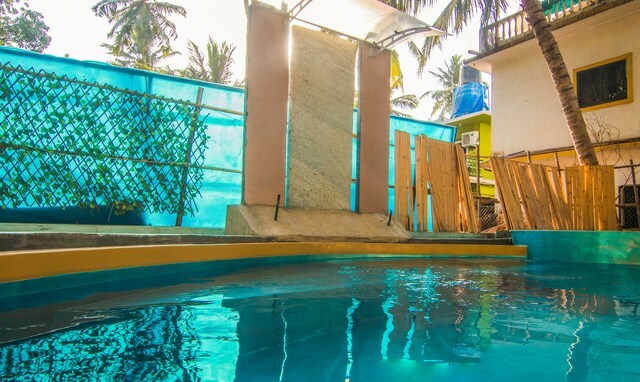 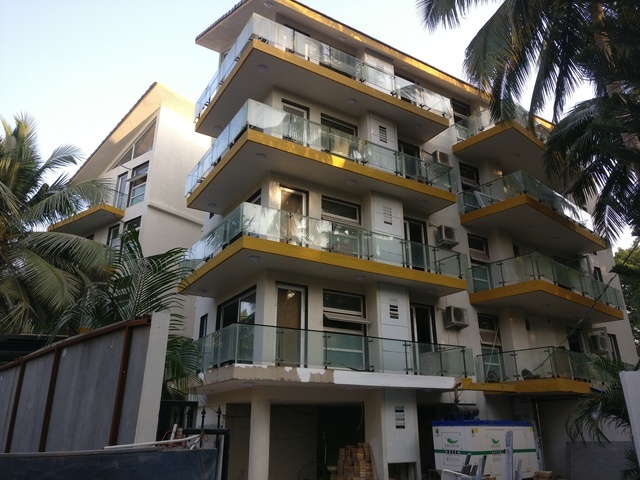 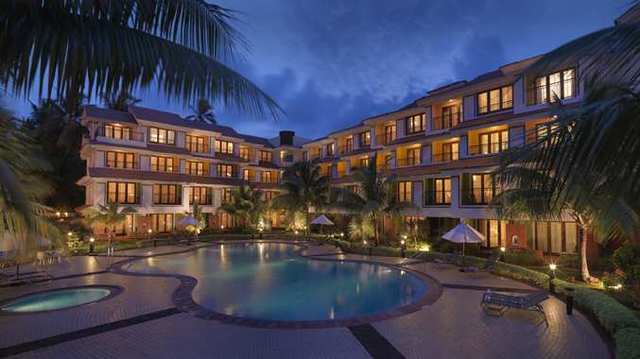 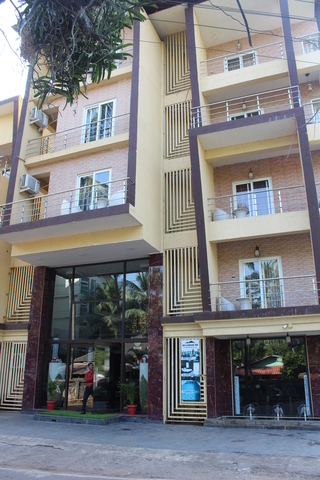 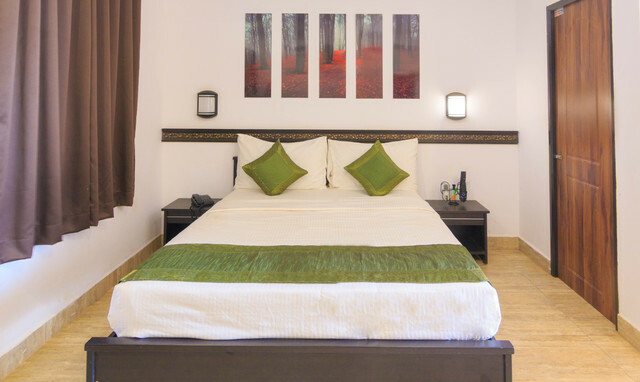 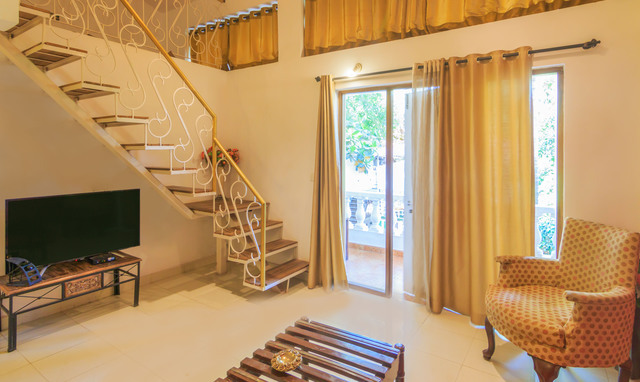 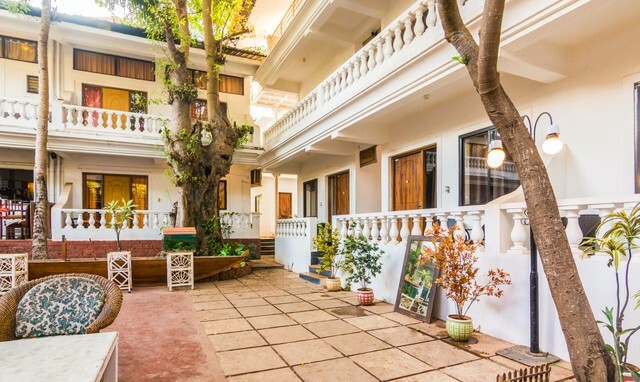 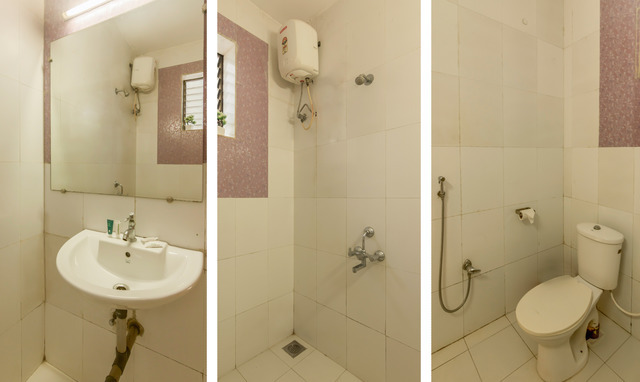 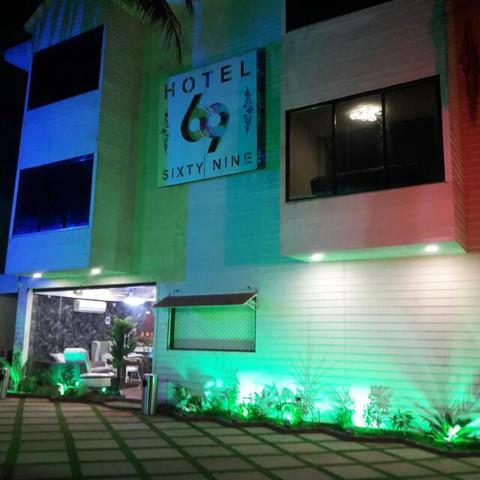 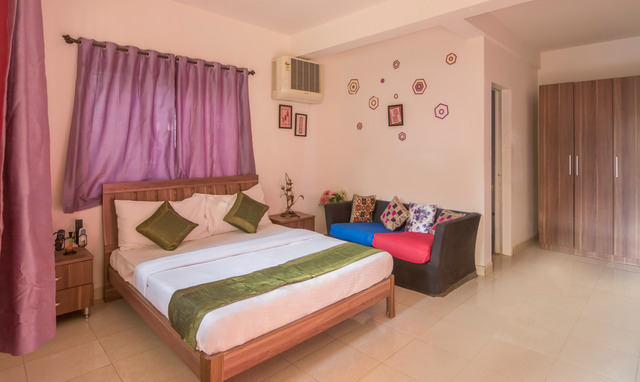 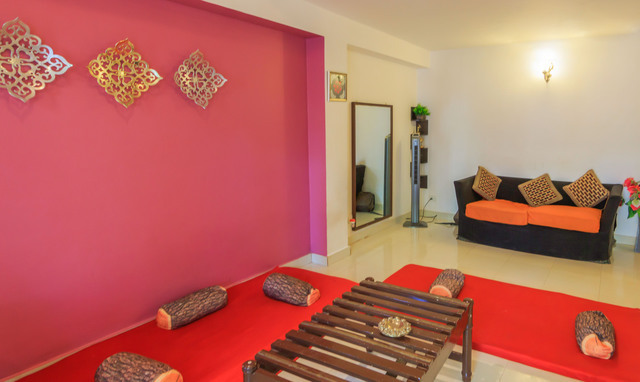 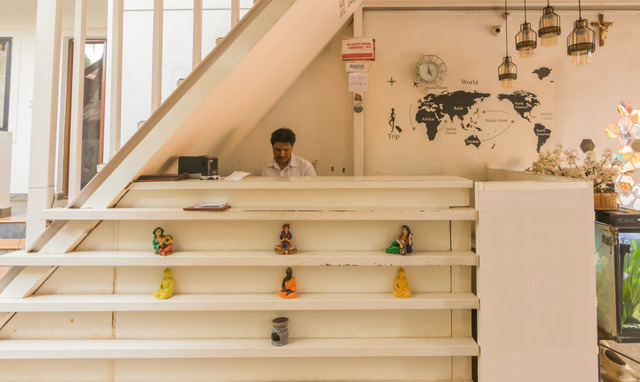 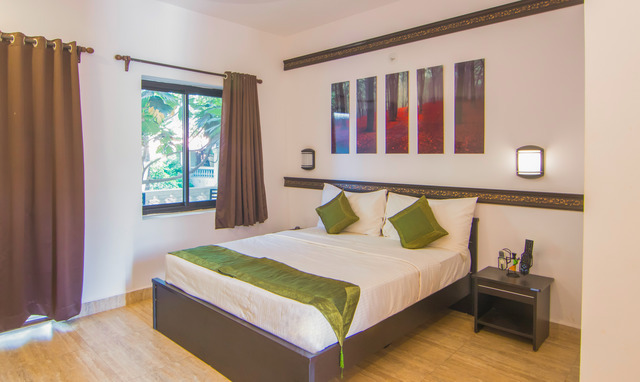 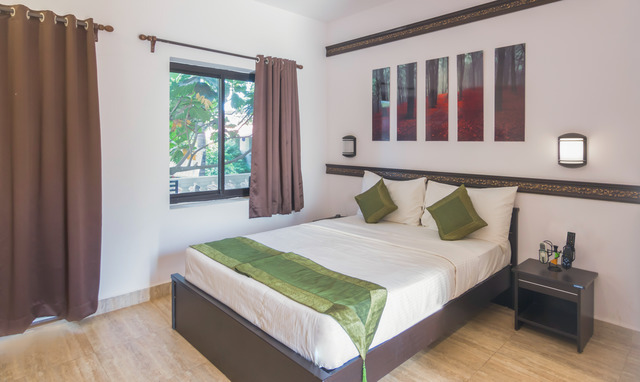 The guest house is hardly a kilometre from Baga Beach and is located close to a number of bars, restaurants, hospitals, and tourist attractions. 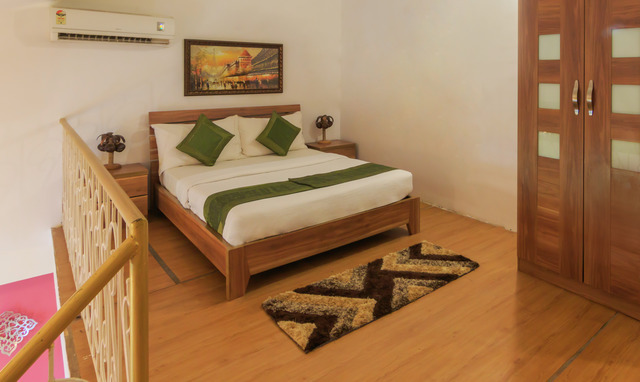 The guest house boasts an inventory of 15 rooms which are categorised into 3 Acacia (Single), 6 Oak (Standard), 4 Maple (Deluxe), and 2 Mahogany (Premium) rooms. 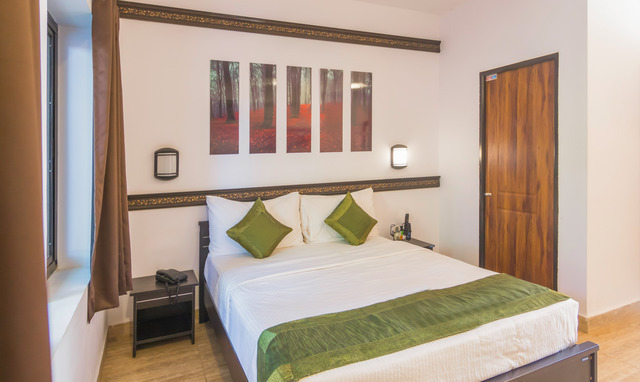 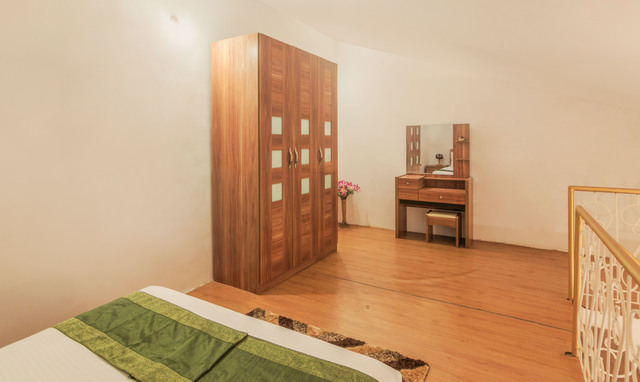 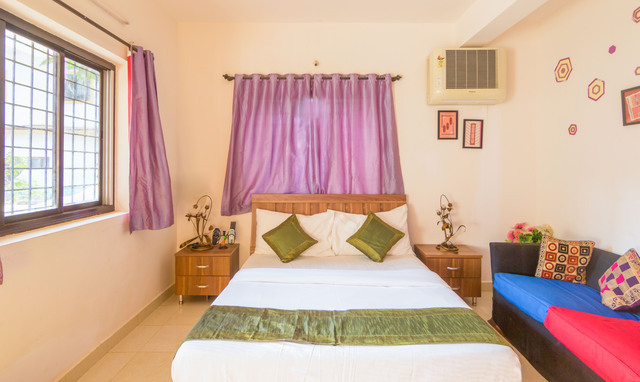 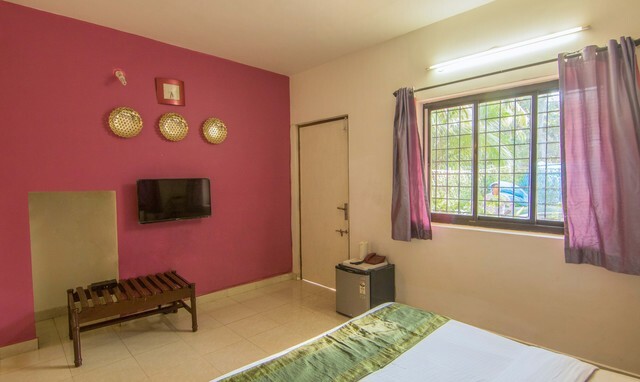 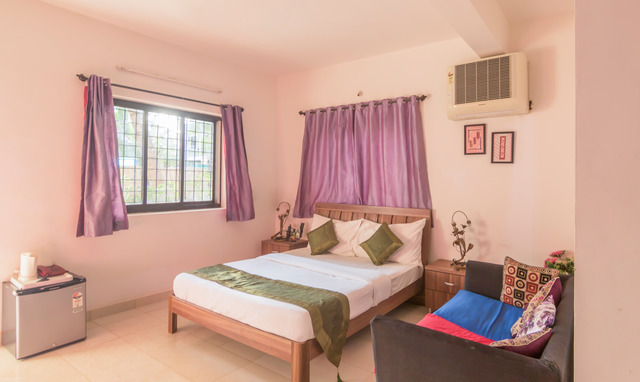 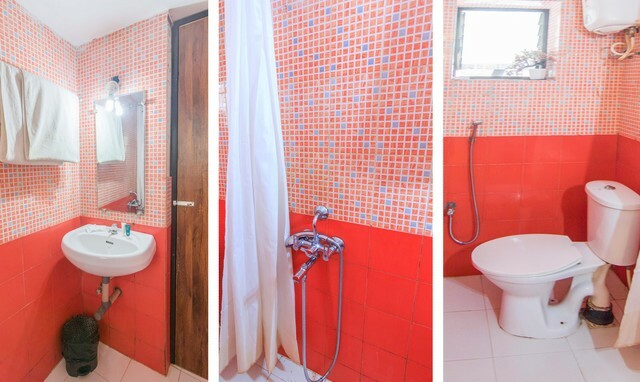 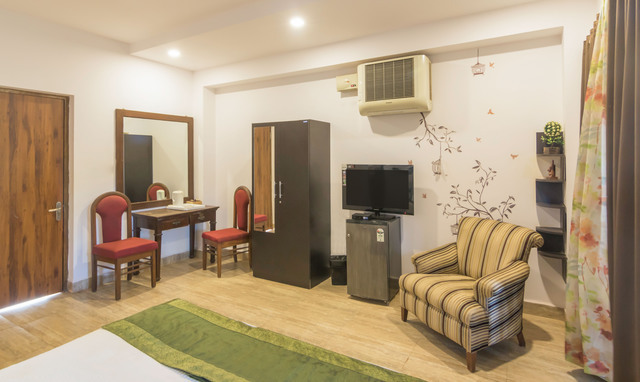 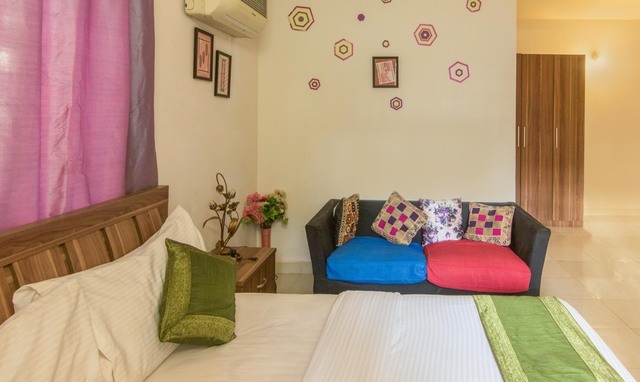 Each of these rooms comes equipped with an air conditioner, cosy bed, mini fridge, wardrobe, luggage shelf, study table and chair, coffee table, intercom, a flat-screen TV with DTH connection, and a spotless en-suite bathroom with hot water facility and fresh towels. 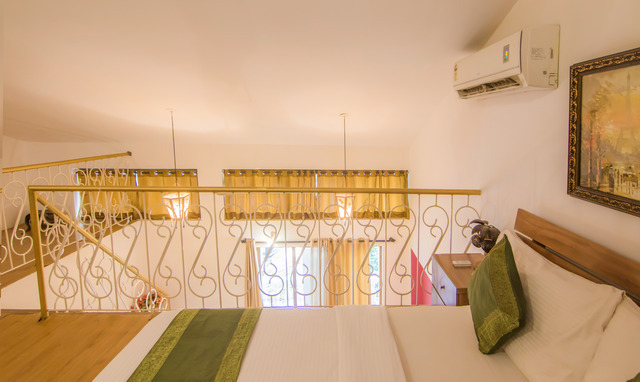 In addition to this, each room also comes with a balcony to give you spectacular views of the surroundings. 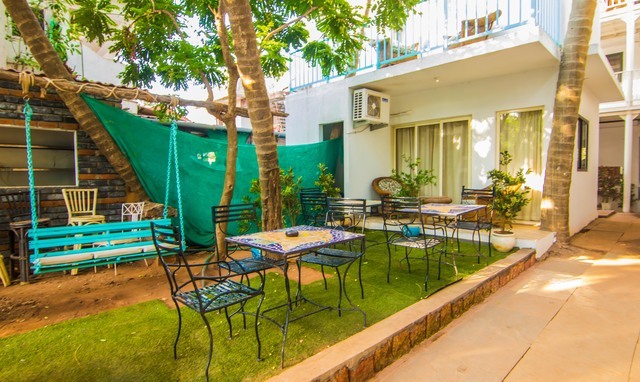 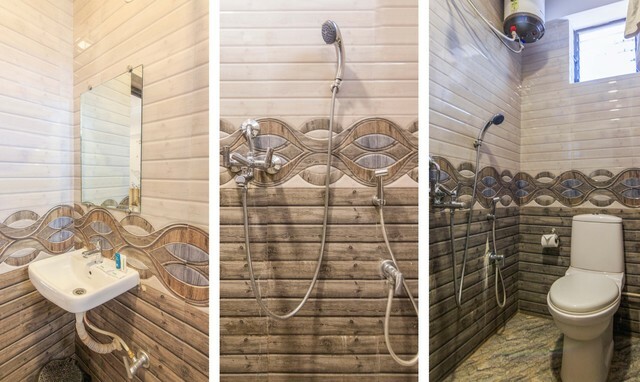 You can also enjoy a scrumptious breakfast, fast WiFi, and branded toiletries all on the house. 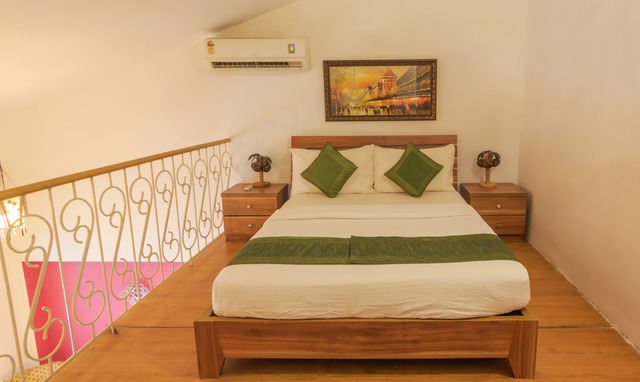 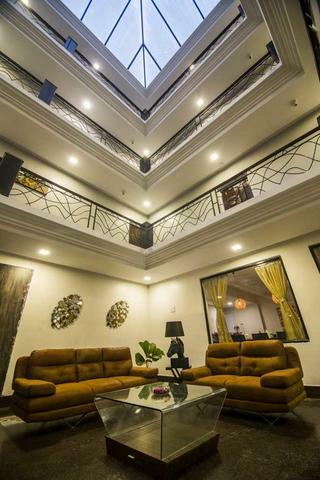 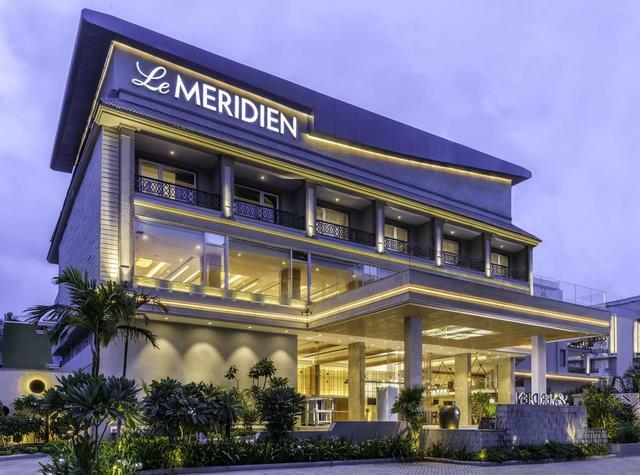 While staying at this beautiful guest house, you can also expect on-site amenities like the provision for ironing boards, quick and thorough laundry service (outsourced to a third party vendor), furnished lobby, a stocked pantry, prompt room service, and 24-hour security. 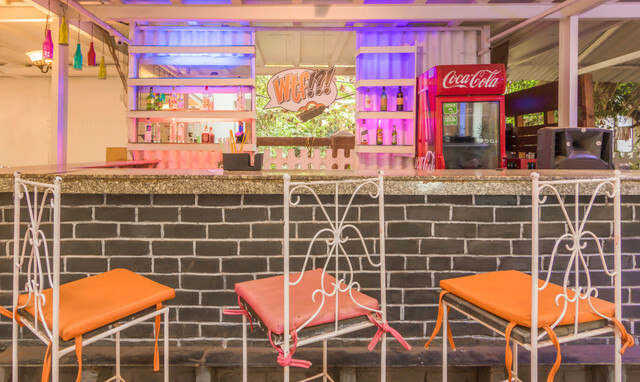 If you feel like having a quick bite or a nice cold drink, head to the guest houses bar and restaurant Foodictive. 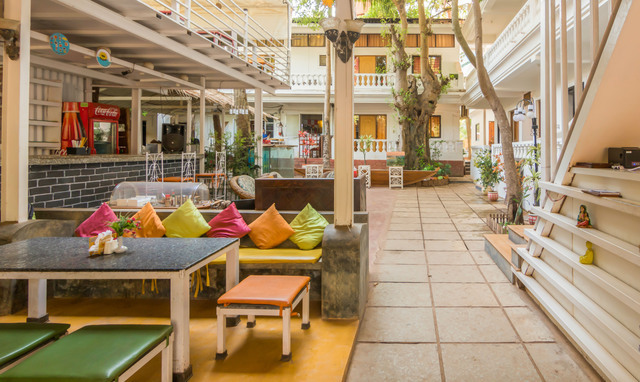 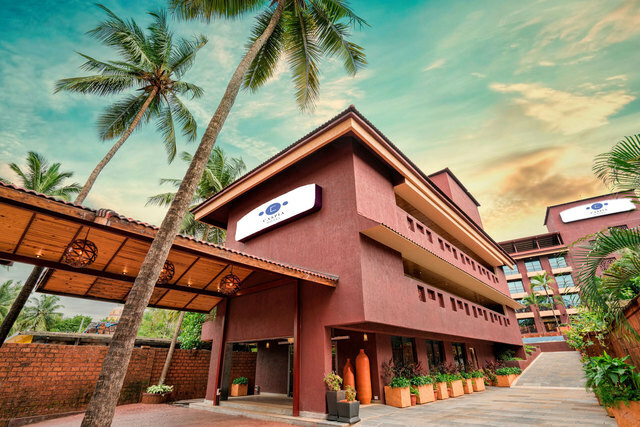 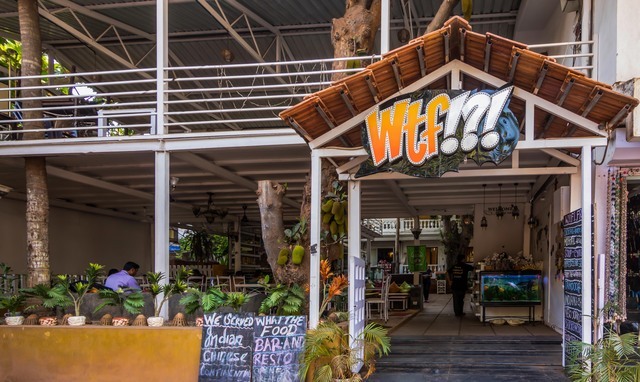 The restaurant serves delicious Goan delicacies, the freshest seafood, North Indian and Tandoor dishes, and several Continental options in both vegetarian and non-vegetarian options. 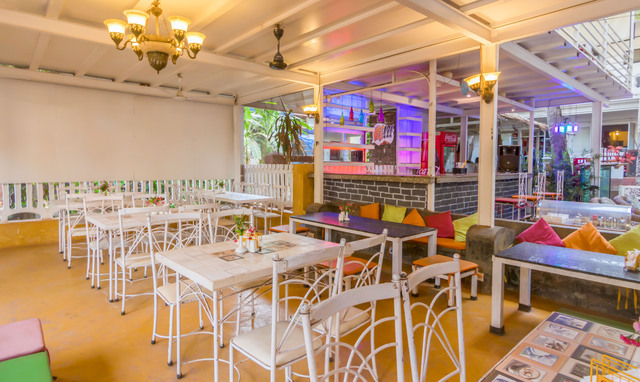 From the bar, you can opt for everything from Feni to a bottle of good wine. 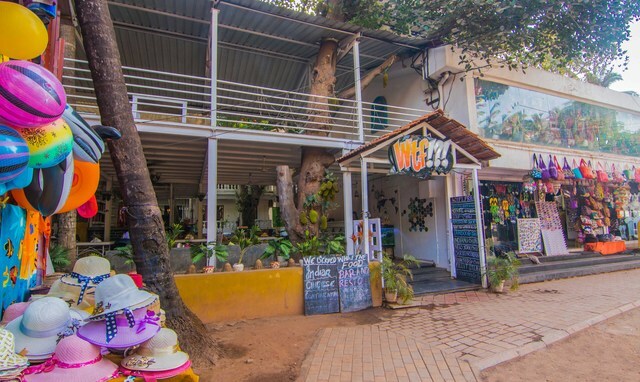 If youre ever in need of medical attention while on your trip, make your way to Mathew Braganza Hospital about 2.5 km away. 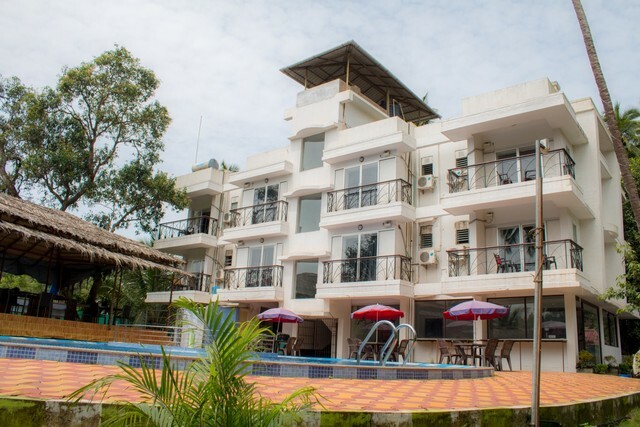 Get to know Goa better by visiting popular attractions like Baga Beach, Calangute Beach, Club Cabana, St. Cajetans Church, Casino Palms, Chapora Fort, and Fort Aguada. 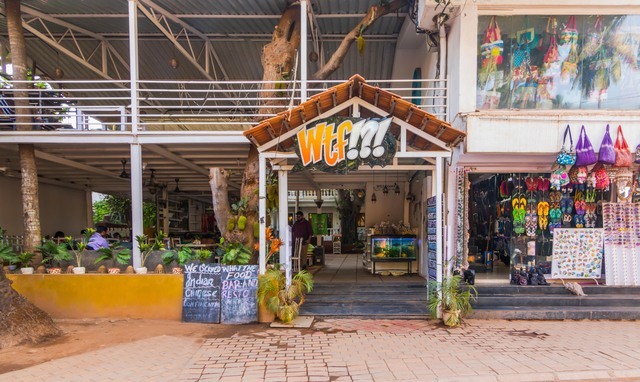 If youre looking to pick up some souvenirs, head to the Saturday Night Market, Anjuna Market, Tibetan Market, and much more. 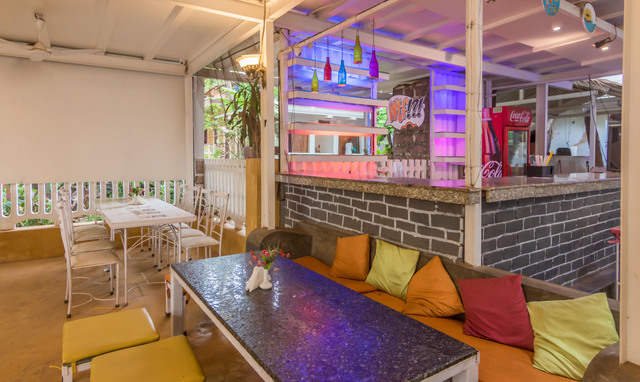 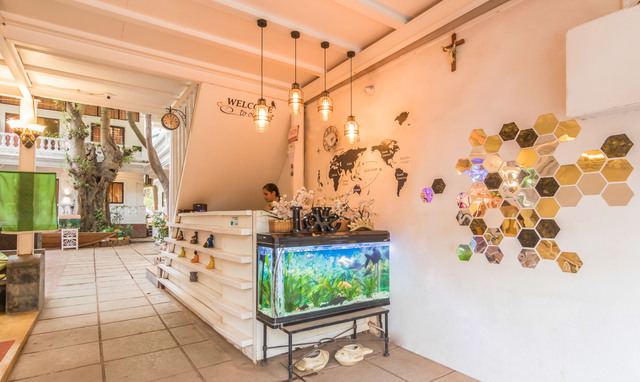 If youre looking for more dine out and bar options, head to Brittos, Aslams Authentic Wazwan Restaurant, Limelite Bar and Restaurant, Fiesta Resort, Bistro Shack, Fat Fish, Kukuruku, and Meiphung North East Bar and Restaurant.